Here we are at the end of May and it's time for Celeste and I to share another card . Celeste came up with the idea to use stickers and I loved it !! I have loved stickers since I was very young and can remember making my own stationary. All you need is plain paper and stickers - the rest is up to your imagination !! And I have to admit that I still have a quite large sticker collection but don't use them nearly as much as I could . 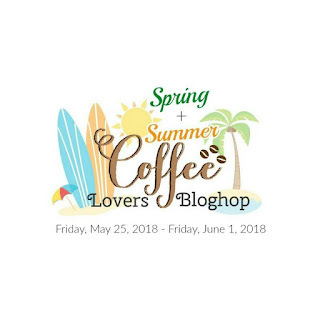 And lucky for us, we are on Day 3 of the Spring/Summer Coffee Lovers Blog Hop so we are making a coffee card that incorporates the use of stickers . Our guest is our friend Michael Trent . He has joined us before but since he is as coffee-obsessed as we are, it was perfect to invite him back for this collaboration !! You can find him at World of Michael Trent. His cards and coloring are beyond amazing, he makes beautiful mini-albums and you can catch his videos on You Tube !! 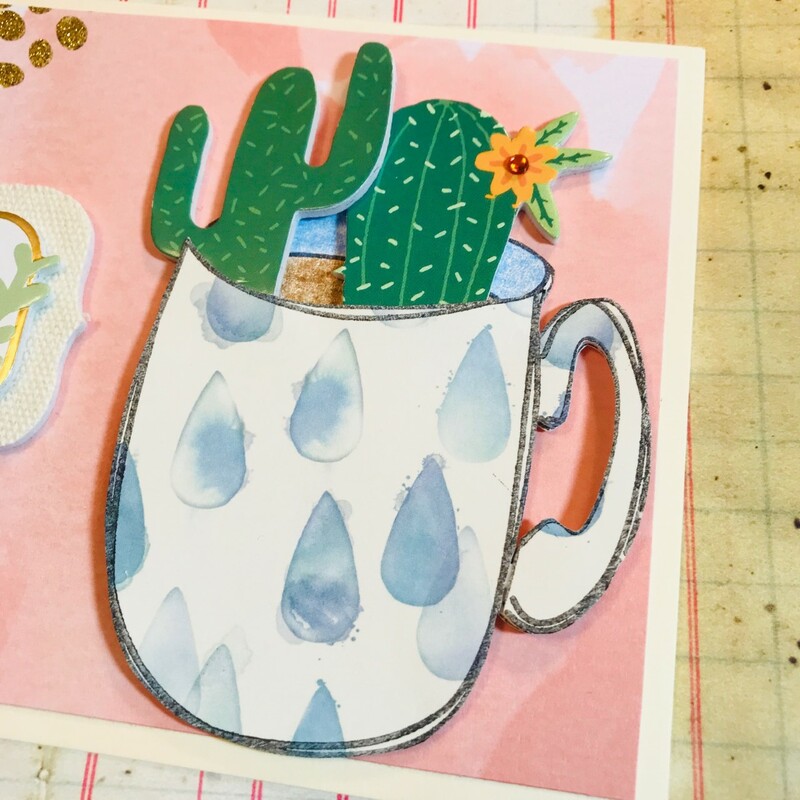 I have been wanting to use some cute cactus stickers that I recently purchased, so this was the perfect opportunity. The challenge was using them in a coffee card, but I think I came up with a fun idea. What do you think ??? On a cream cardstock base, I adhered a piece of peachy-pink MAMBI paper, leaving a slight margin around the edges. This paper has glitter highlights and I cut the paper so they would be in the upper left corner. They also matched the stickers !! Using Memories India Black Ink, I stamped the coffee cup image from Stamploration " Winter Mug - the Bee's Knees " onto a piece of blue raindrop patterned paper from Hobby Lobby and also on some plain white cardstock. I fussy cut the cups and adhered the cardstock behind the patterned paper to make it a bit firmer. I colored the coffee and back rim of the cup that was stamped on the white cardstock, using Prismacolor pencils . The 2 cactus stickers were positioned on the cardstock cup and I then placed the patterned paper cup on top of that. I had cut the coffee/back rim area off of that cup so the cactus would show through. 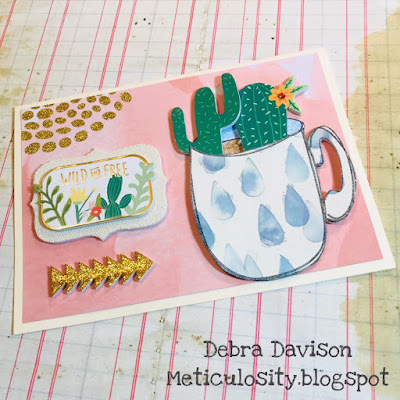 Because the cactus stickers were foam backed and raised up off the card, foam tabs were used to position the patterned cup image. The Wild and Free sticker & gold glitter arrows were placed to the left of the coffee cup. The sticker pack was by Momenta. An orange rhinestone created a bit of shimmer in the flower on the cactus in the cup. 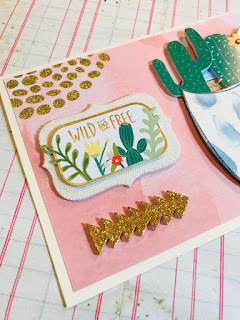 All adhesives used were Tombow - a Mono Adhesive+ runner and foam tabs. I can't wait to see what Celeste and Michael come up with for this collaboration.. 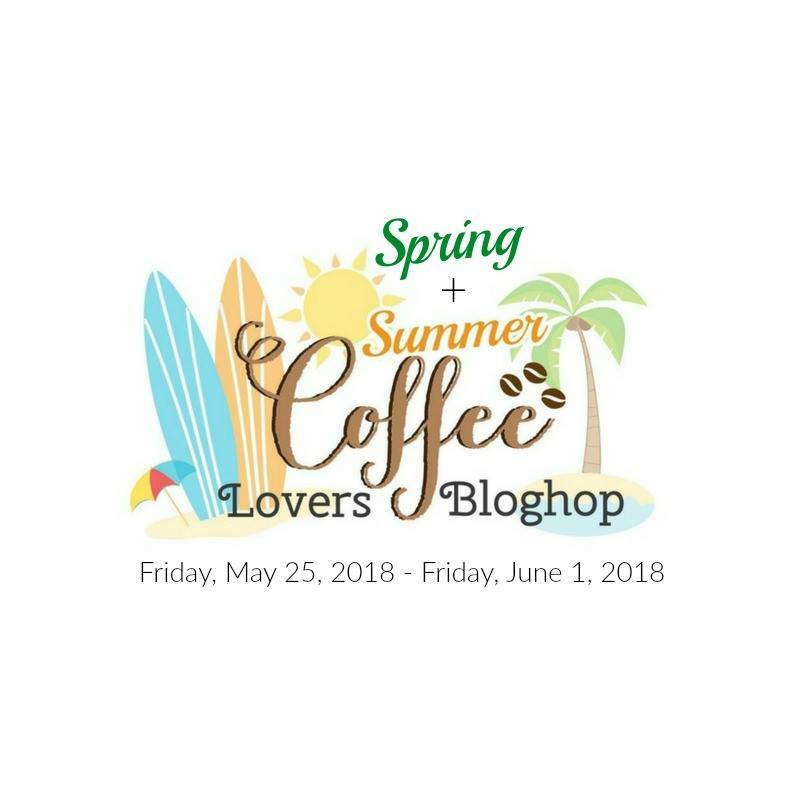 I'm glad we got to share these posts during the Coffee Lovers Blog Hop. Take a look at Celeste's card over at Crafting Junky and Michael's at World of Michael Trent . Remember that I am giving away some blog candy to someone who comments on my posts for the Coffee Lovers Blog Hop. The more posts you comment on, the more chances you have to win. I am hoping to post a card each day during the Hop. 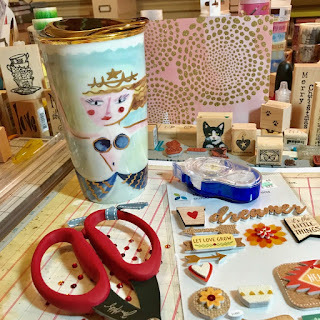 For my coffee this time, I'm using a fun Starbucks mermaid travel mug and drinking some Sugar-Dusted Beignet coffee from Community Coffee, You should check them out - their coffee really is out of this world !! Thank you for stopping by Meticulosity today. I hope you enjoyed this May collaboration and I look forward to another in June. Thanks to Michael for playing again - we love having you ! !